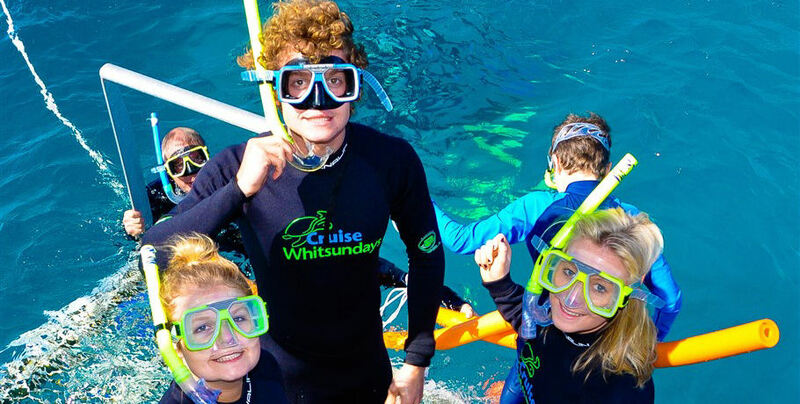 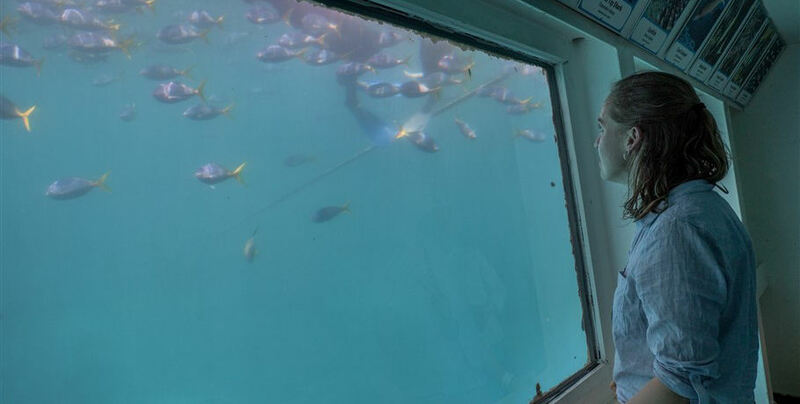 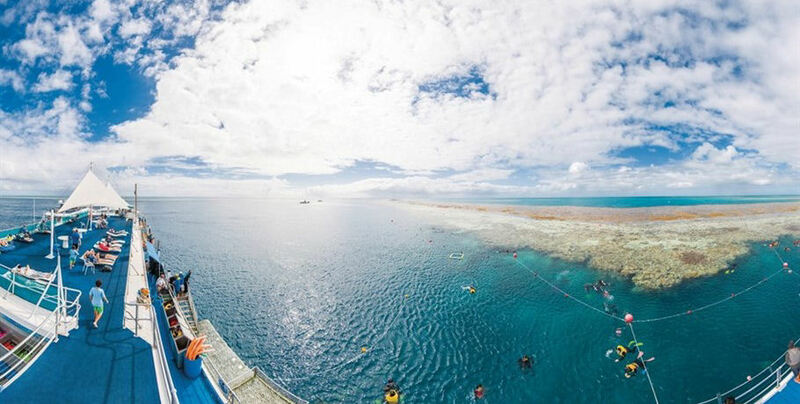 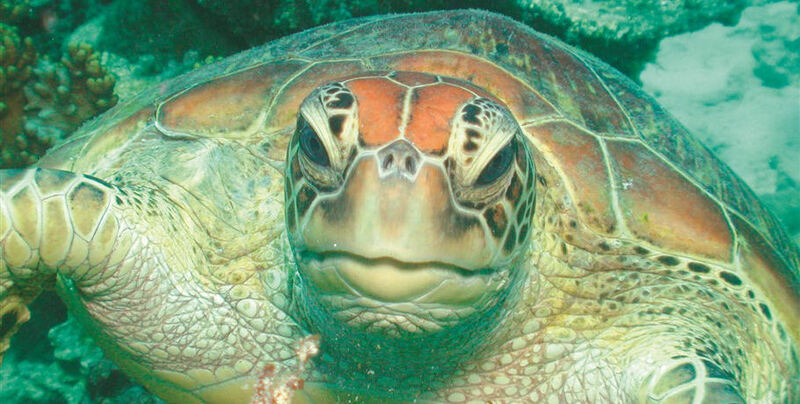 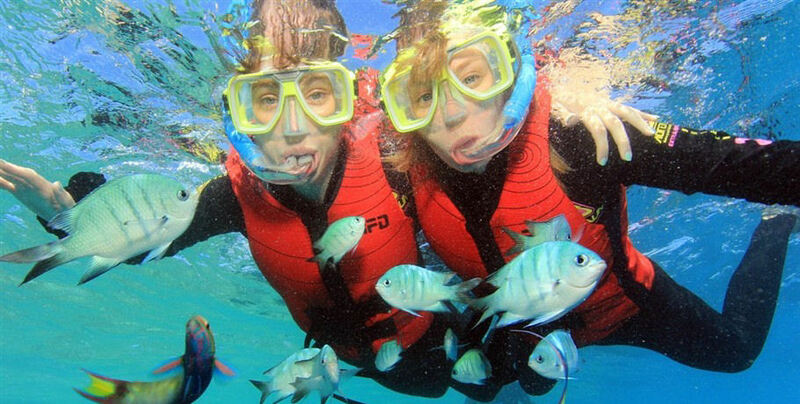 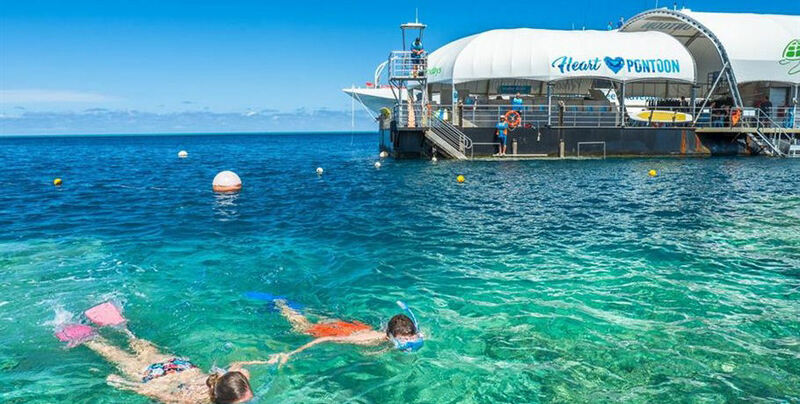 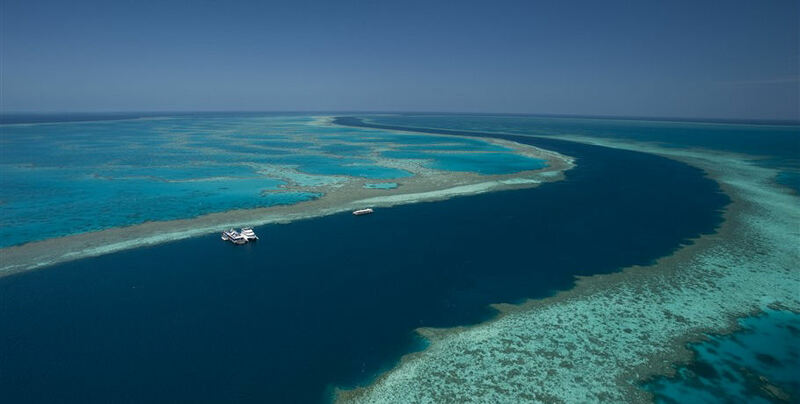 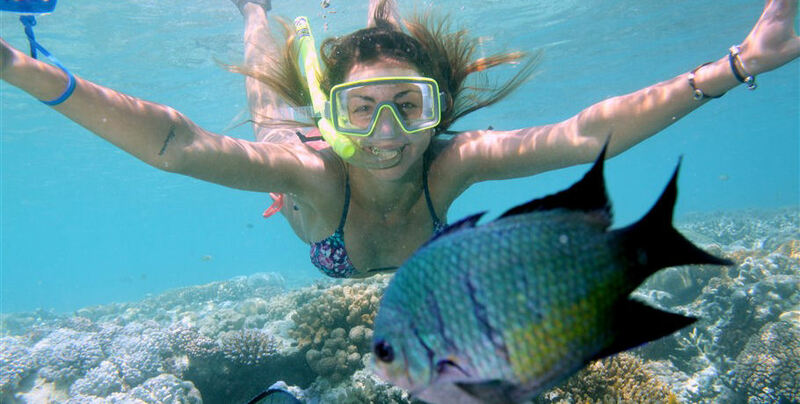 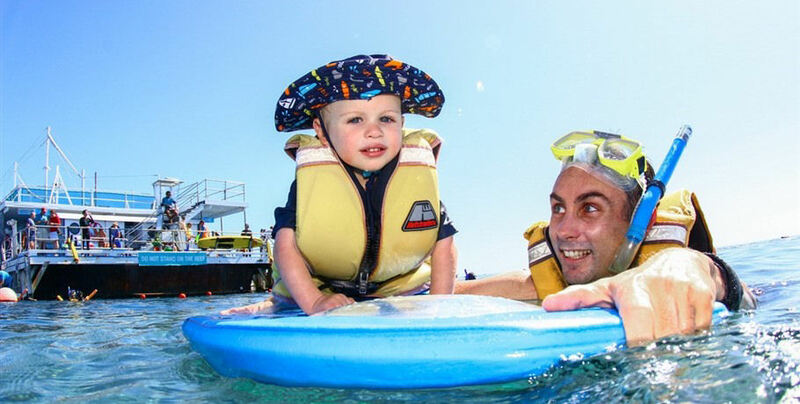 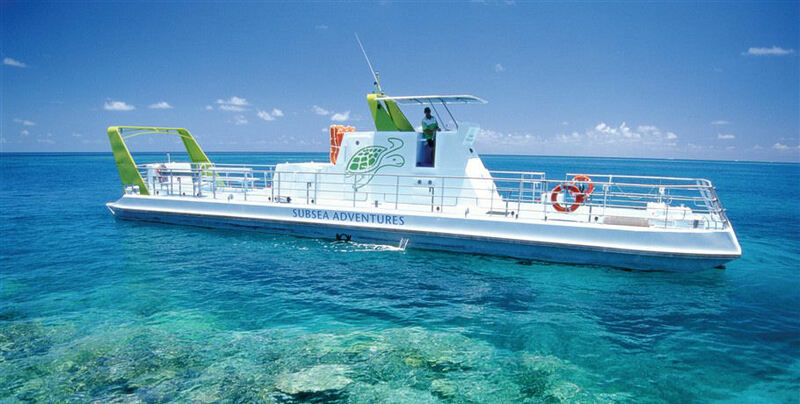 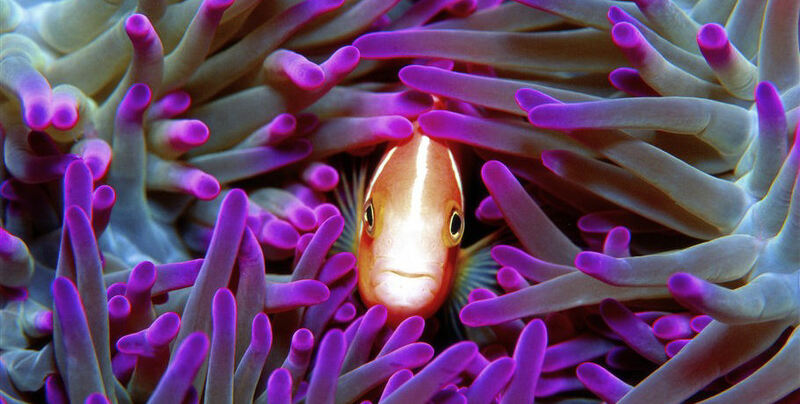 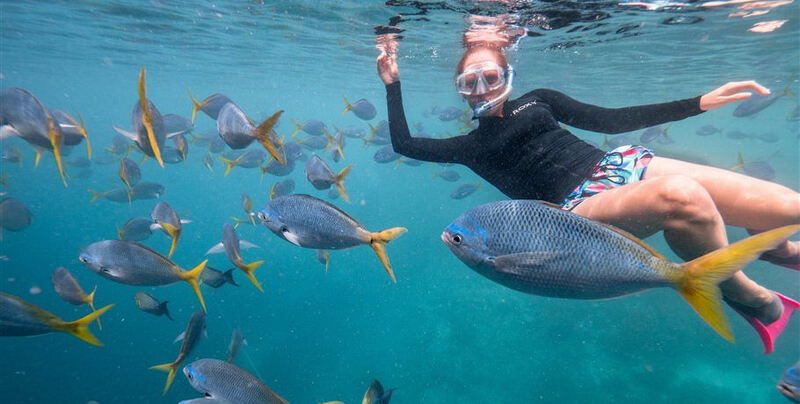 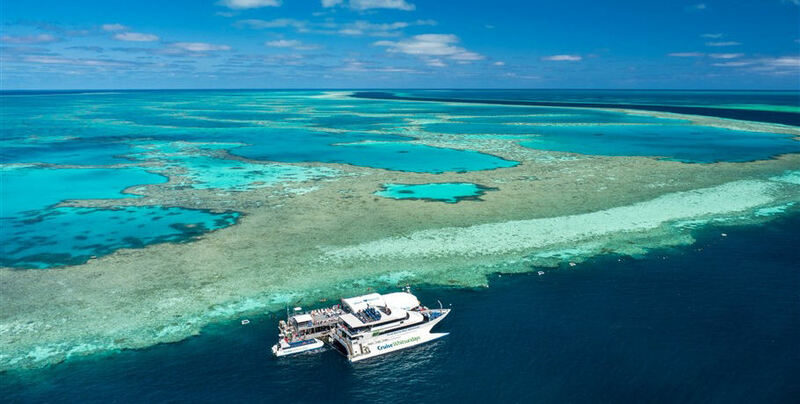 Cruise Whitsundays offers a full day experience on a pontoon in the middle of the incredible Great Barrier Reef! 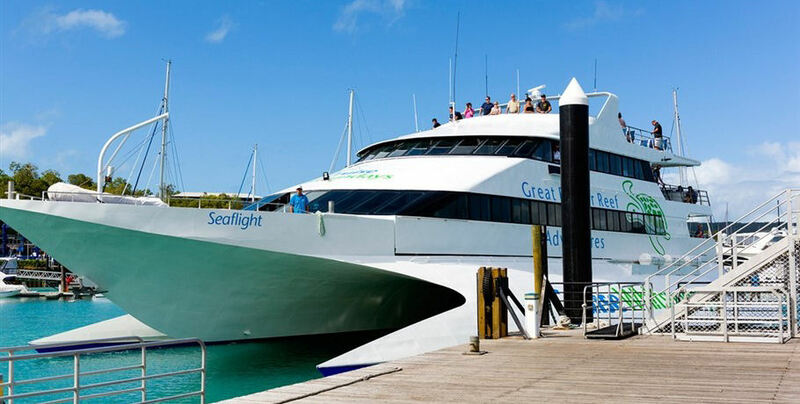 This day trip departs from Airlie Beach and Hamilton Island every day and offers incredible Whitsunday Island views on your journey. 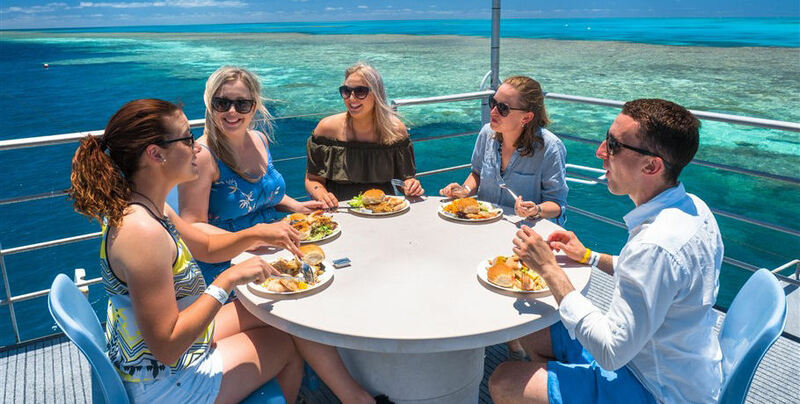 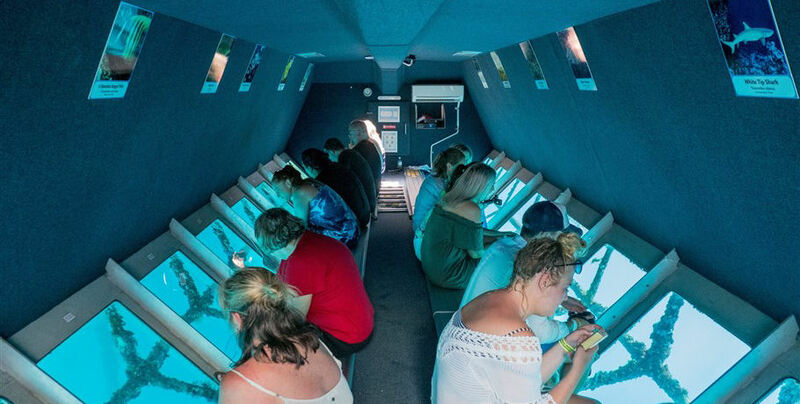 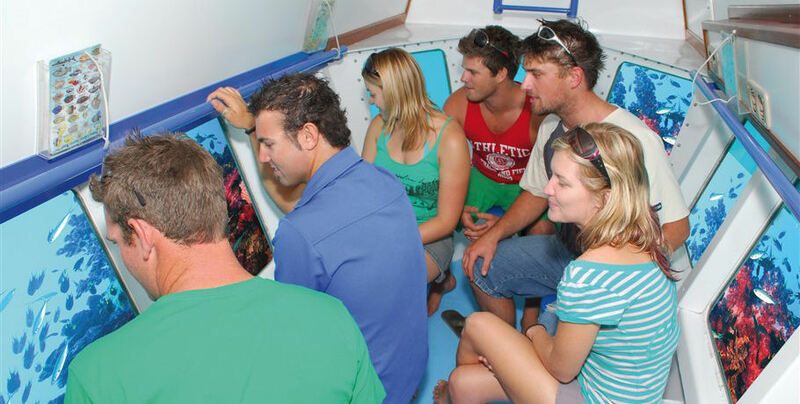 Once in the outer GBR, board the interactive pontoon and plan your day experiencing the vibrant marine world beneath your feet! 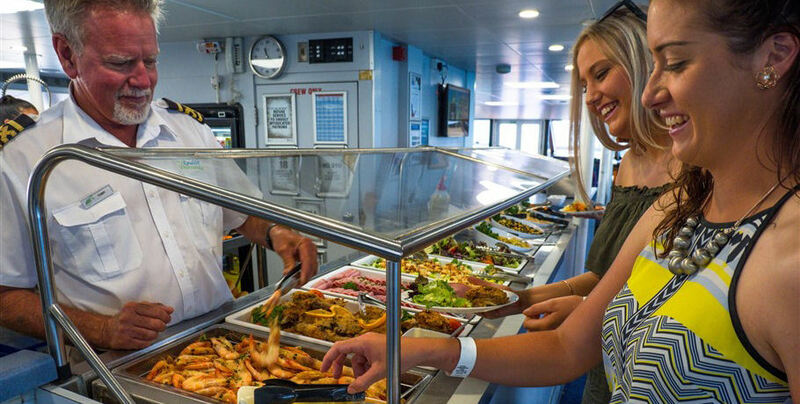 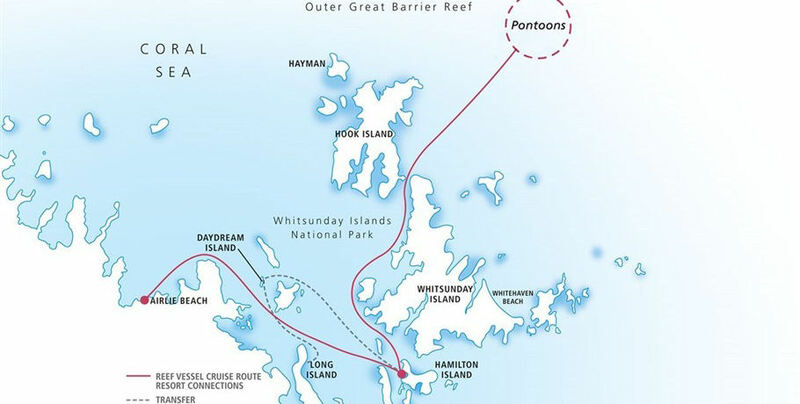 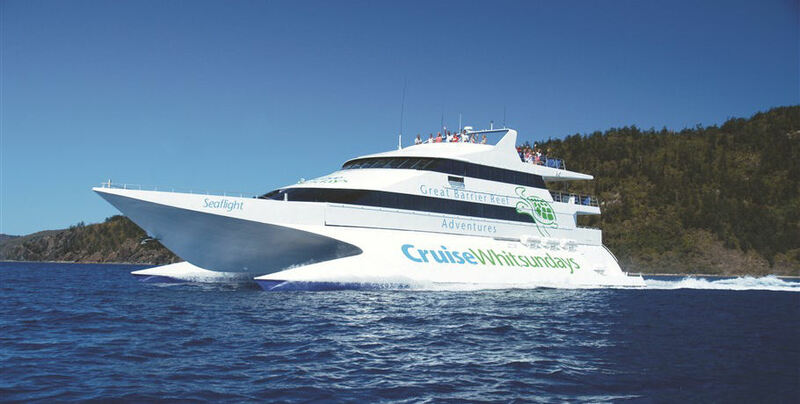 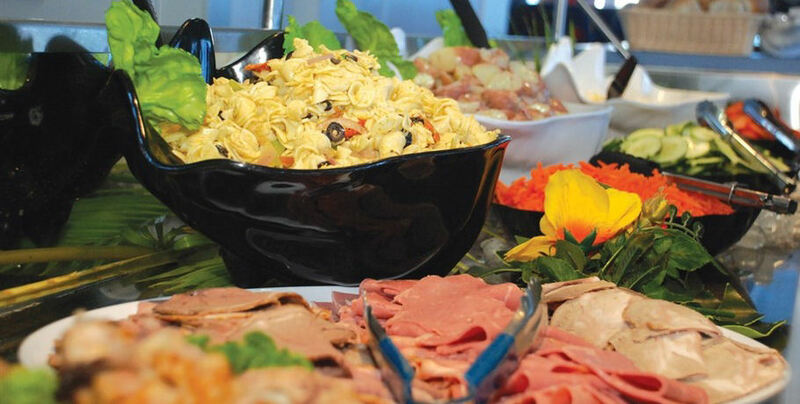 ou will be taken to the pontoon on one of Cruise Whitsundays’ comfortable cruising catamarans, offering high speed transit, spacious lounges and viewing decks, with all the amenities including air-conditioning, bars, and toilets. 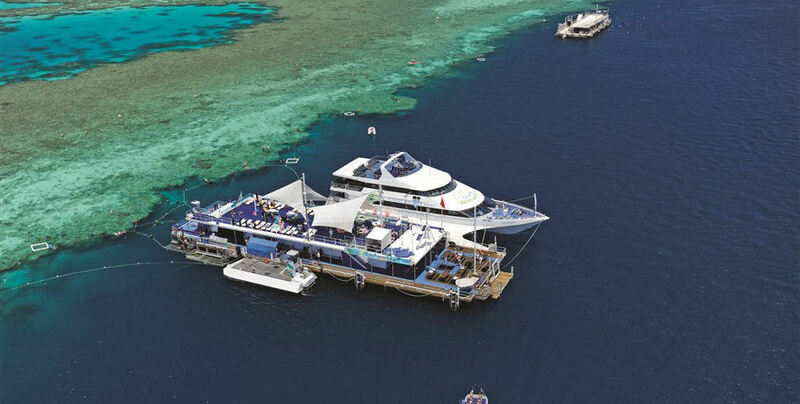 The pontoon itself is adjacent to absolutely incredible coral walls hosting a unique ecosystem of corals and diverse marine life. 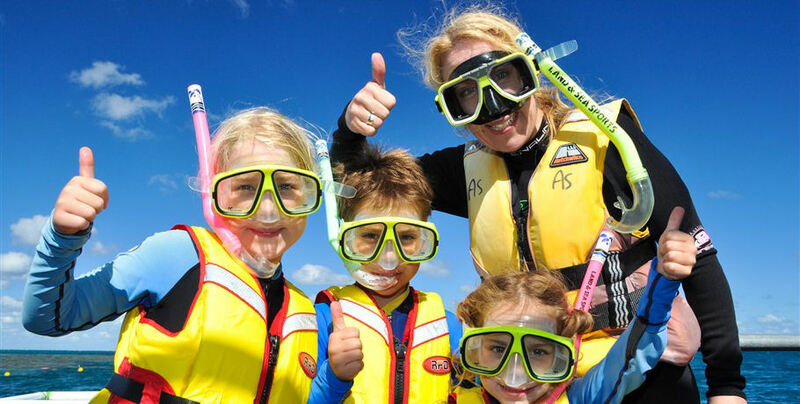 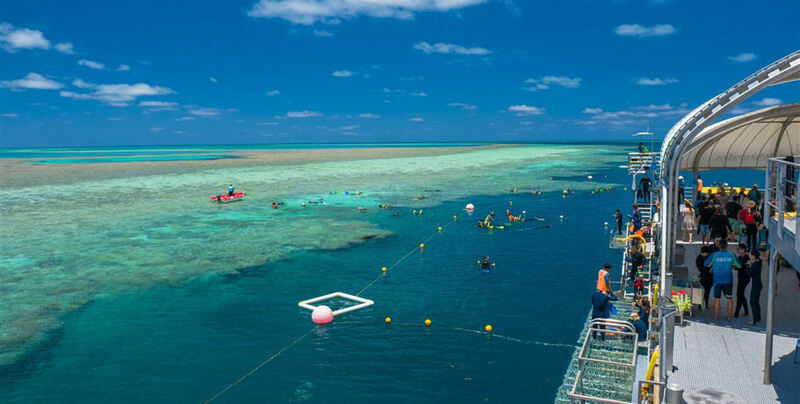 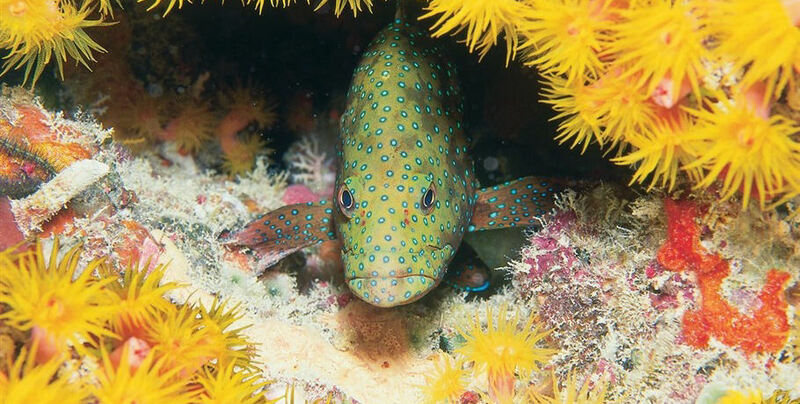 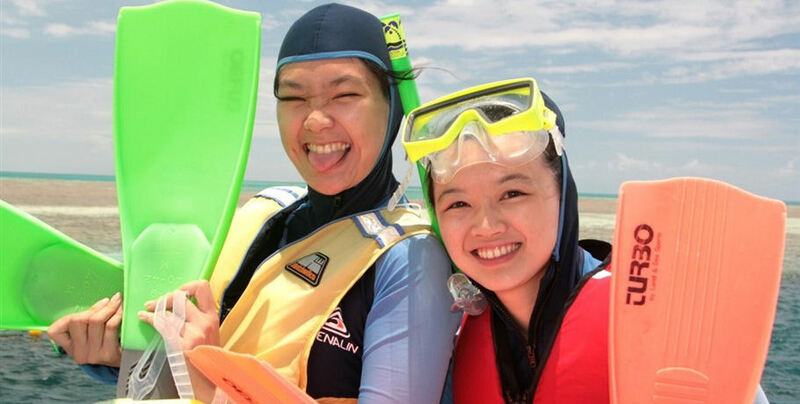 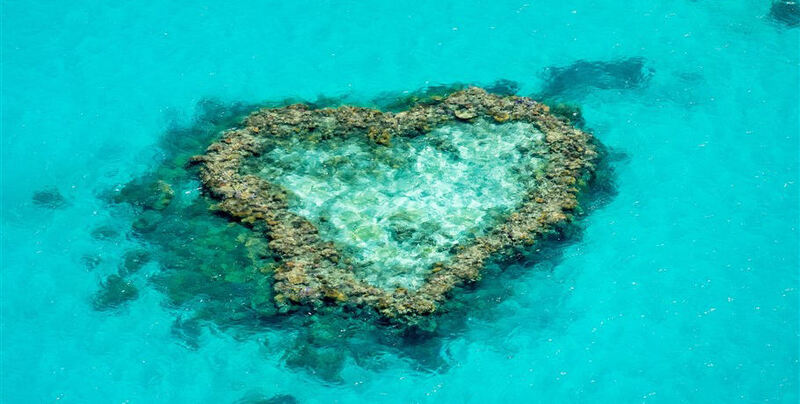 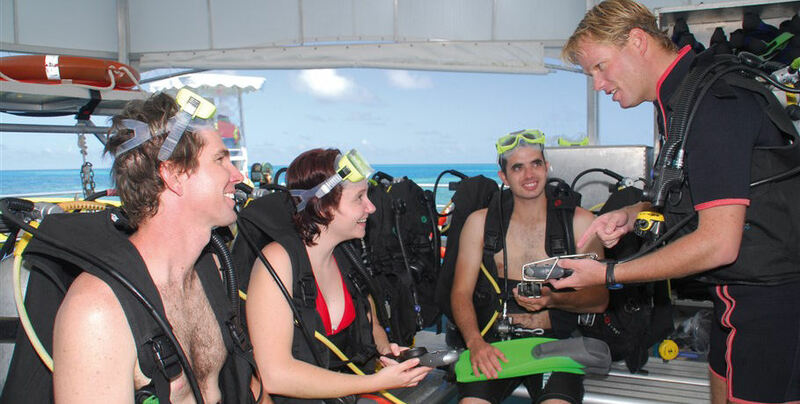 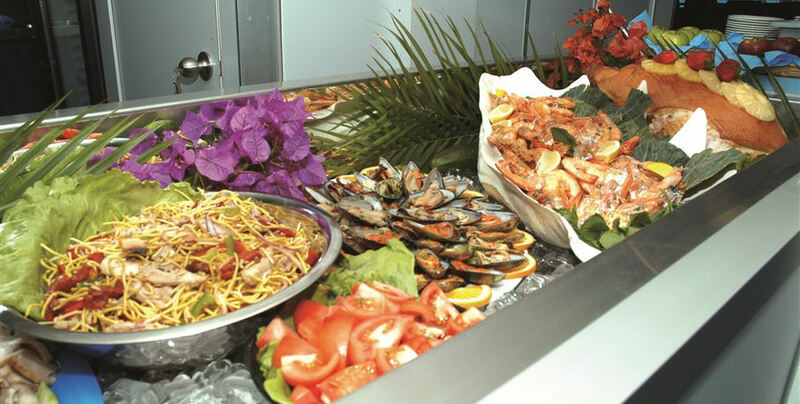 You can explore these coral walls using the provided snorkelling equipment as well as the underwater viewing chamber and semi-submersible submarines. 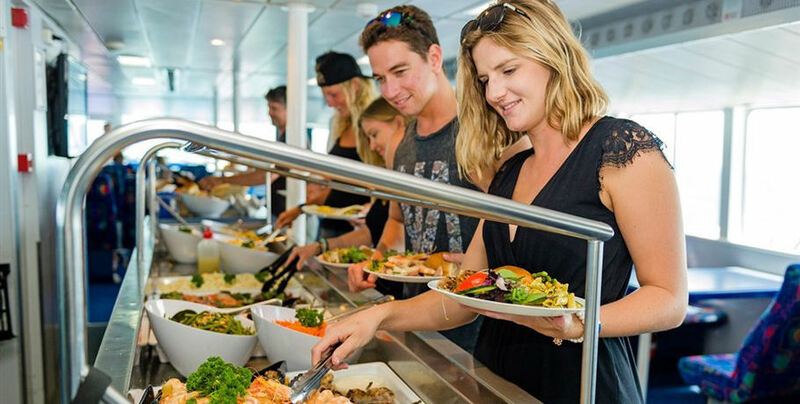 Also don’t forget to enjoy the amenities on the pontoon including sun decks, freshwater showers, and air-conditioned lounge.